When you have a small house and a large backyard the solution when you're squeezed for space seems simple: add a home extension! This exotic and excellent extension was designed by Tom Kaneko Design and Architecture, who managed to add a lot of home in this small space! There's a dining room, kitchen, and an adorable window seat to explore (not to mention a garden upgrade!). This wasn't exactly green space, was it? We see why the residents were willing to sacrifice some of this sorry space for more home. Wow! 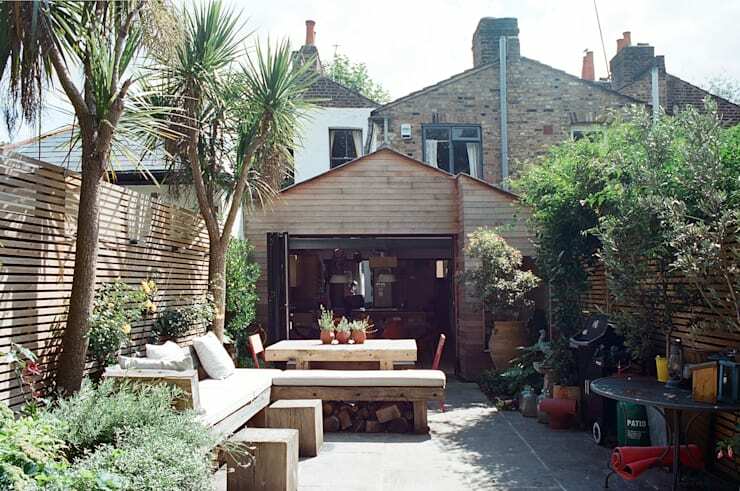 Not only is there a gorgeous wooden home extension, but the garden itself has been filled with life. Its amazing what some plant life can do for a backyard. The tallest plants, especially that tropical palm, provide some nice shade, while the smaller pots line the perimeter with beauty. Now there's a place for the residents to sit among the greenery too. 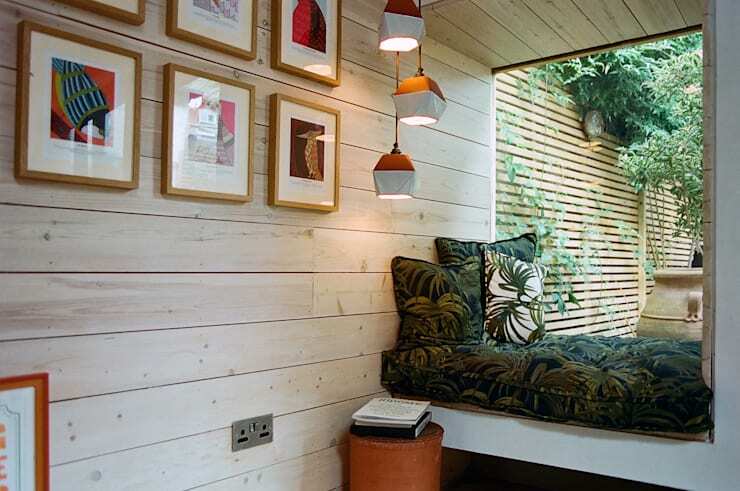 The tropical theme continues inside the home with a window seat. The small side table and the dedicated , and dashing, light fixtures make the space feel complete. From this angle we also get a nice close up of the light timber siding that appears on the inside and outside of the home extension. It's very modern and refreshing. 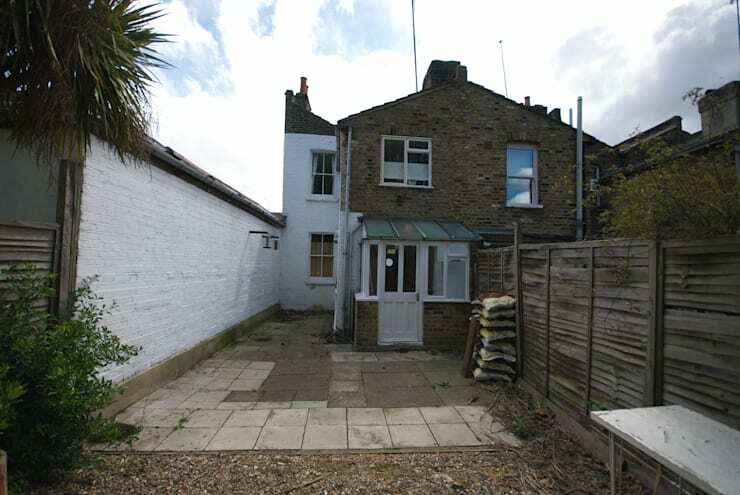 This is the main space that the extension added to the home. It houses a beautiful dining room and some extra space for the previously tiny kitchen. Our favourite part of this space are those amazing geometrical chairs. They look sharp, but roomy to sit on, and their warm wood continues the tropical theme. If you're looking for some tropical inspiration check out our gallery here. Note that you can change the style on the right hand side to anything your heart desires! 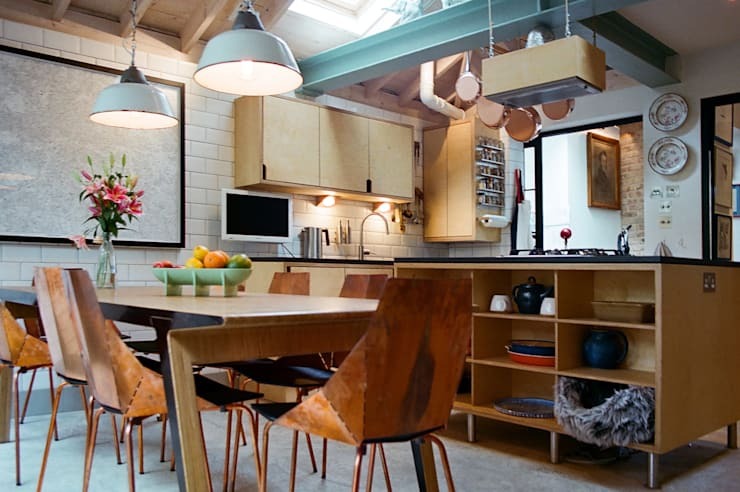 This kitchen feels both modern and a touch tropical with the plain light wooden cupboards and shelving. 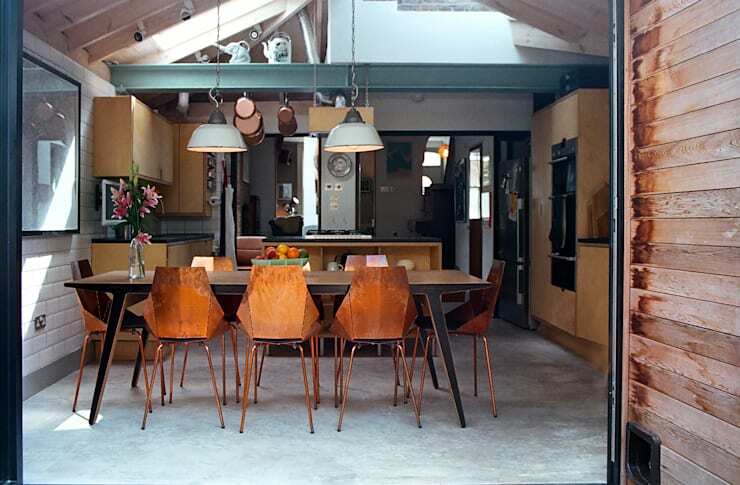 The hanging copper pots are a great use of space and a shining addition to the space's style. To keep the space bright the architects have lined the far wall with white subway tile. It all looks fantastic! The study has been lined with bright subway tile too, but its' been given darker elements for some great contrast. 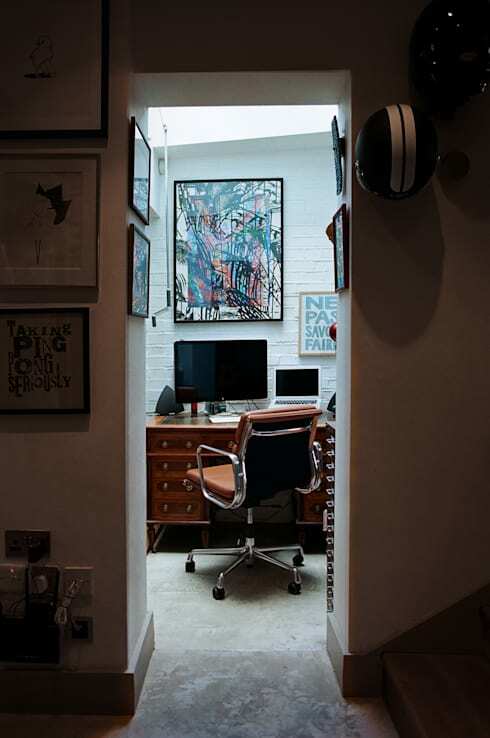 We love the dark abstract art above the desk, and the deep wooden desk itself. The space feels very professional. Thinking about adding an extension to your own home? before you start planning take a look at our eight smart ways to expand your home. What did you think of this home's window seat? Let us know in the comments!